Product categories of Rehabilitation Products, we are specialized manufacturers from China, Foldable Wheelchair, Walking Stick suppliers/factory, wholesale high-quality products of Travel Walker R & D and manufacturing, we have the perfect after-sales service and technical support. Look forward to your cooperation! With the raising of the needs for Rehabilitation Products, ORIENTMED has found its Rehabilitation Products line. The main products are Aluminum Wheelchair, Reclining Wheelchair, Electric Wheelchair, Leisure Sports, Steel Wheelchair, Commode Wheelchair, Bath Bench , Walking Stick, Rollator , Travel Walker and Hospital Bed . Those products are all get the CE, ISO, FDA. Those products are all designed and sold by ORIENTMED. Our products is in a good quanlity and our price is competitive. Especially the hospital beds, we have sold 60,000pcs per mouch. Welcome to ask us for quotation! 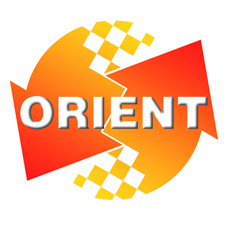 Welcome to vist ORIENTMED. For health, we will do better!